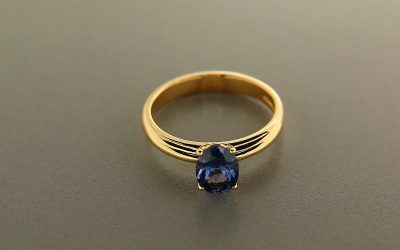 "Its beauty is so great to deserve a place in the crown of England"
Spinel deserves its place on the crown It was mistaken for a ruby on the crown of England and its reputation suffered for this. 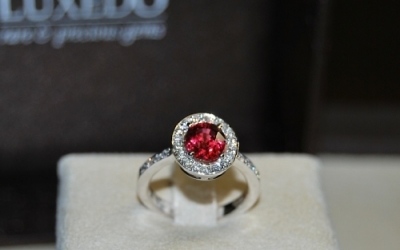 Although less rare than ruby you cannot argue the beauty of its clarity and its extraordinary colours. 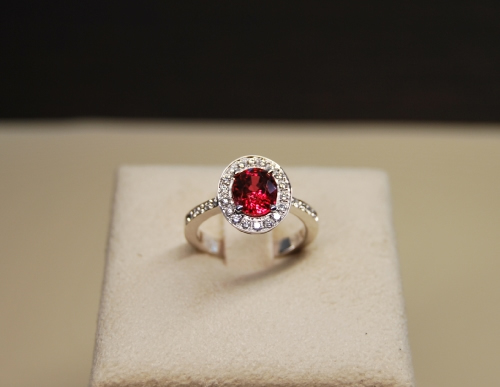 Rubies that can be compared to spinel are much more expensive. 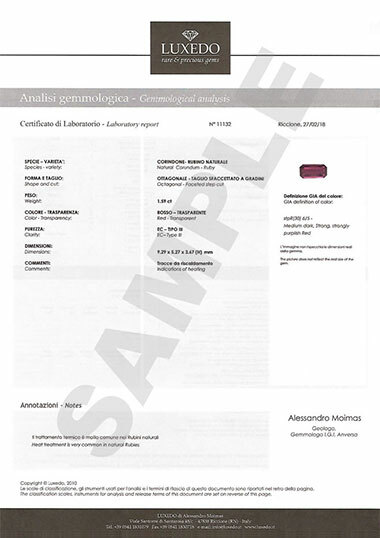 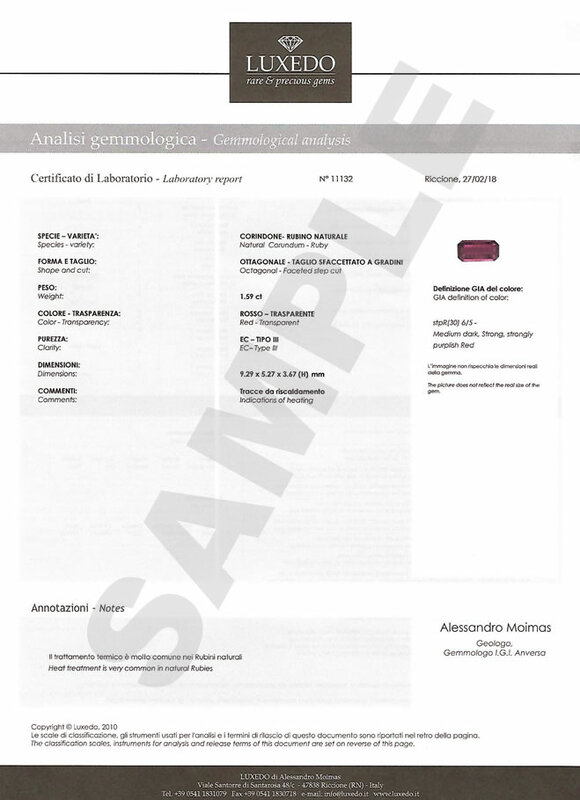 "Colour, clarity and cuts are the evaluating criteria for this gemstone. 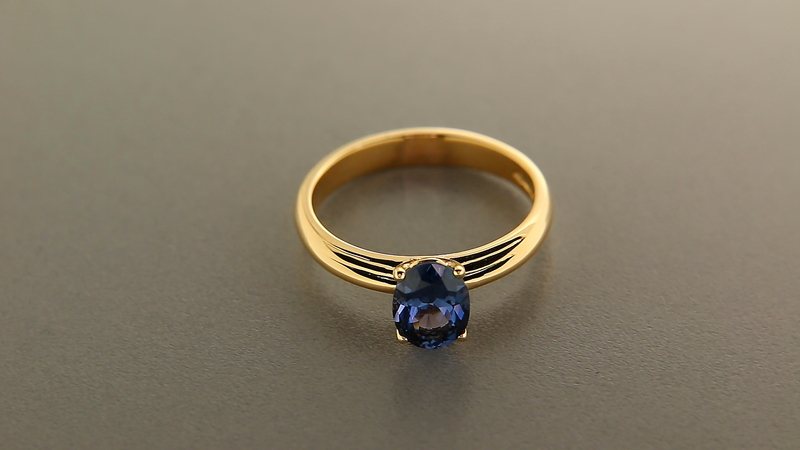 These gemstones are rarely imitated and undergo few treatments, how nice!" 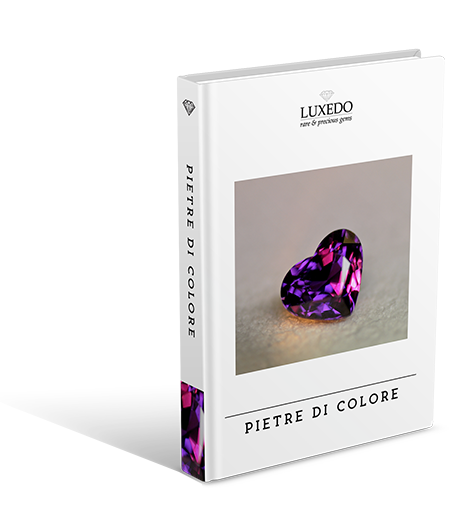 A very special shade of color, in which the purple rose heats up with red-orange shades for this fine Spinel with a classic oval cut. Spinel is an unusual gemstone. 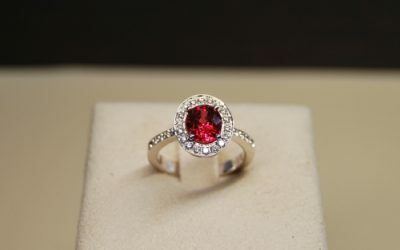 For centuries the red variety was mistaken for ruby, so much so that some of the largest and famous “rubies”, like the “Black Prince” ruby in the Crown’s Jewels of England are in fact spinels.Although its rarity is comparable to ruby one, today its value is much lower: almost a revenge for its murky past. 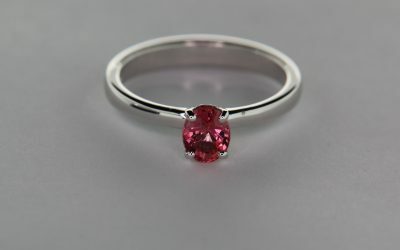 When commonly referring to the spinel you think of red, however this gemstone presents in other colours ranging from blue to light pink or purple. 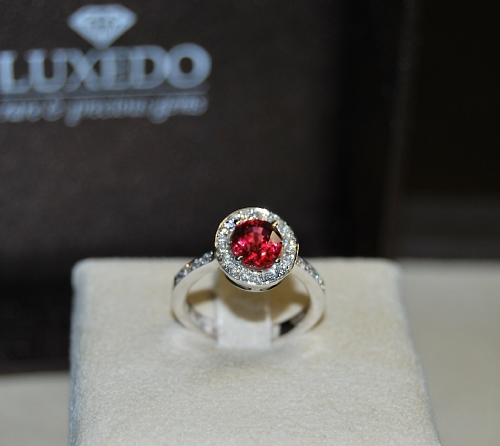 Spinel colours are always natural as this gemstone does not commonly undergo treatments and this is what makes it a great value gemstone, a worthy substitute for ruby or sapphire.Burmese quality red is the most vivid in nature. 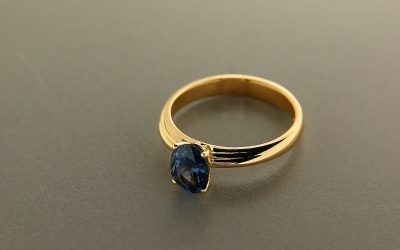 Spinel with cobalt traces is blue and is extremely rare. 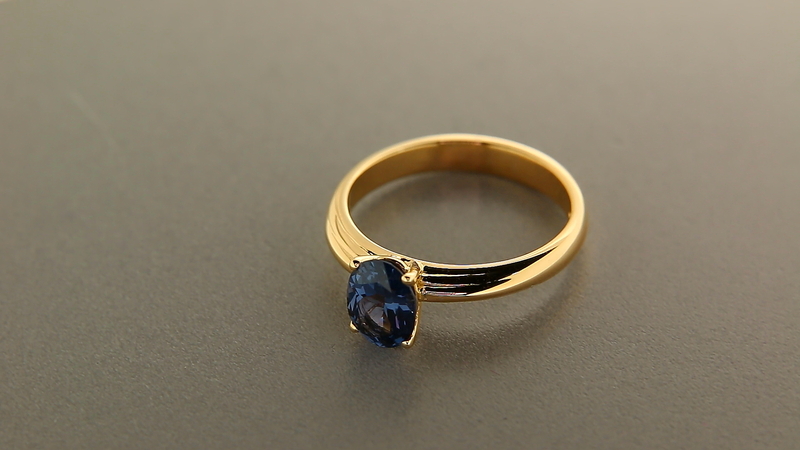 Its hardness, equal to 8 on the Mohs scale, makes it suitable for any type of jewellery.